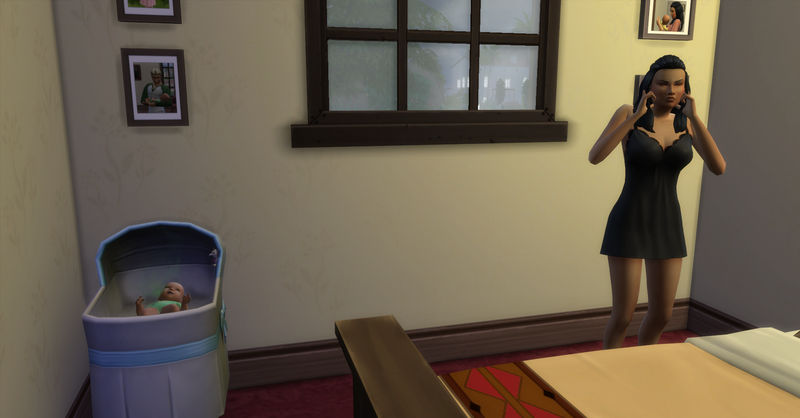 Rosabelle wakes up right after to the baby crying, she breast feeds him and changes his diaper. 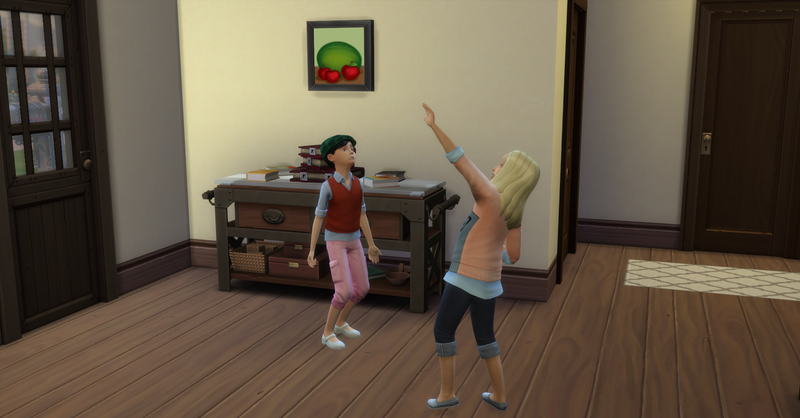 Fortuna leaves for school and since her new aspiration is Social Butterfly, she tries to make new friends at school. After eating breakfast, Pawel tends the back garden which is all dragon fruit in the large planters. He also plants the orchids in the pots that Rosabelle made on the woodworking bench yesterday. Rosabelle also eats breakfast and watches tv for a while. 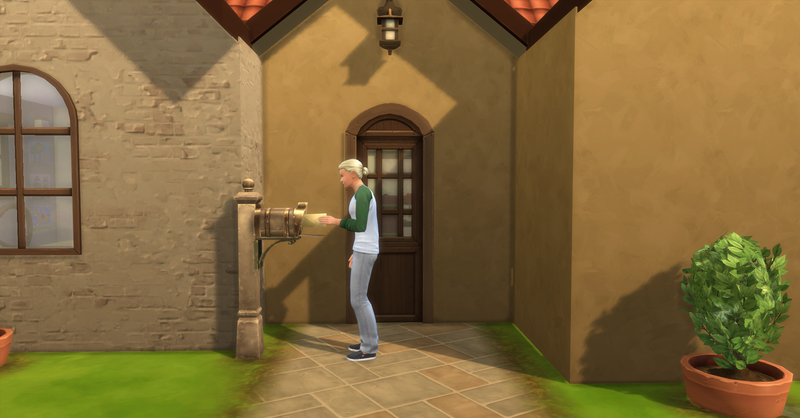 Today’s Royalty Report arrived, they earned §6380, their funds are now §88,212 simoleons. 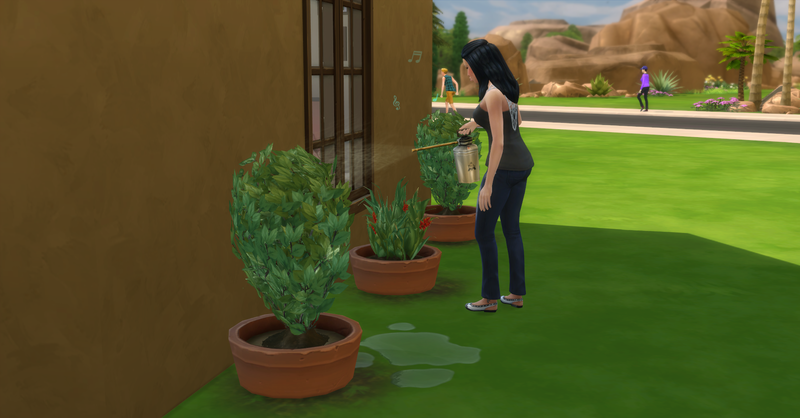 After watching tv, Rosabelle goes to tend the front garden and harvest the snapdragon plant. Pawel repairs the broken computer and gets 1 common upgrade part. Meanwhile Rosabelle works on her book. Pawel then rummages through the scrap pile for more parts, he get 1 more common upgrade part. 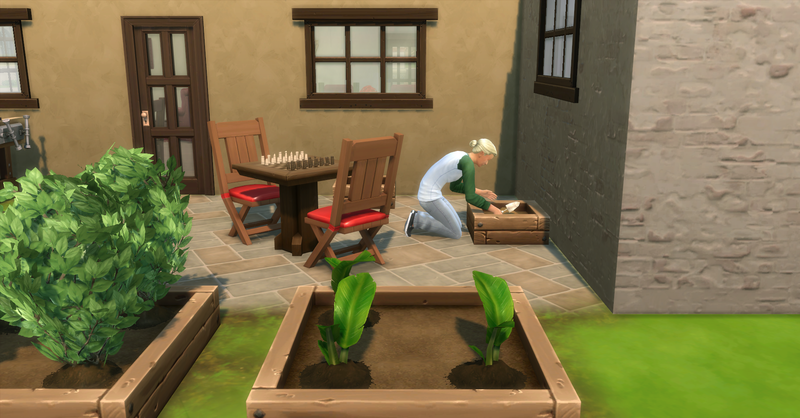 Rosabelle takes a writing break and harvests the spliced snapdragon, lily and orchid plants. She gets 2 snapdragon flowers, 2 orchids and 3 lilies. She keeps all the snapdragons and orchids, plus 1 lily flower too. 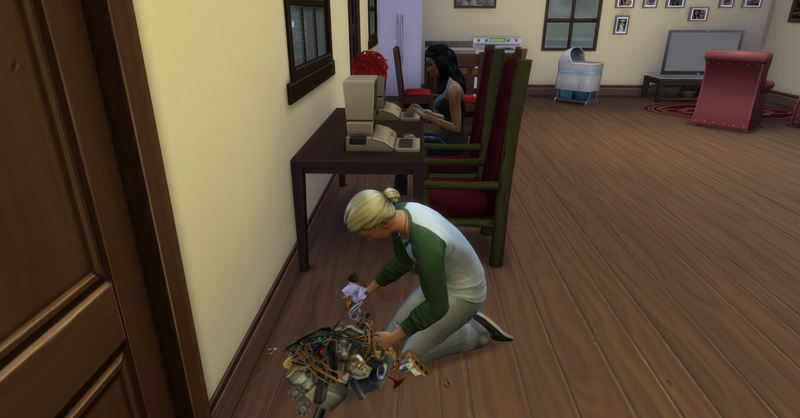 She then sells the remaining 2 lily flowers to the farmer’s market for §16 simoleons. 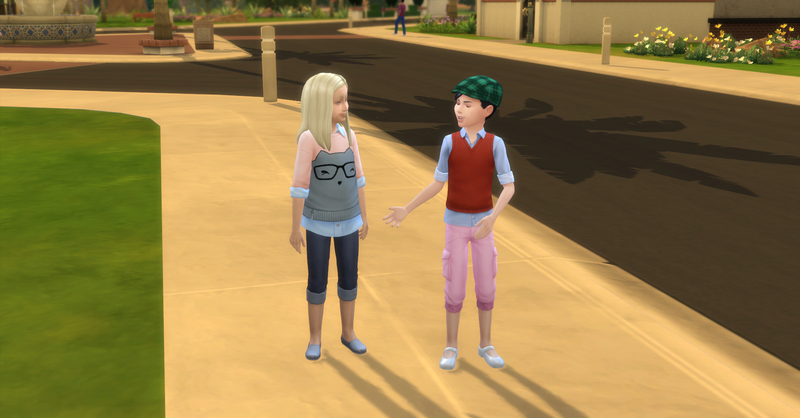 Their funds are now §88,300 simoleons. 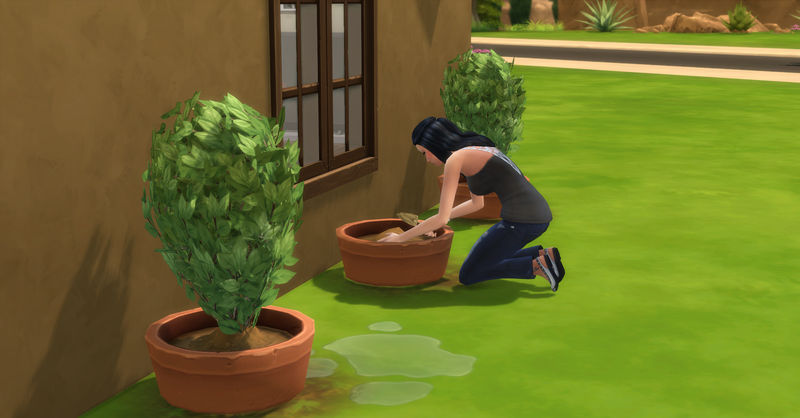 After harvesting the garden she places the snapdragon and spliced flower plants into their family inventory. She then plants 2 orchid plants in their place and waters and fertilizes them with the snapdragons she just harvested. Fortuna arrives home from school at 3pm in a playful mood, she had a funny day at school. 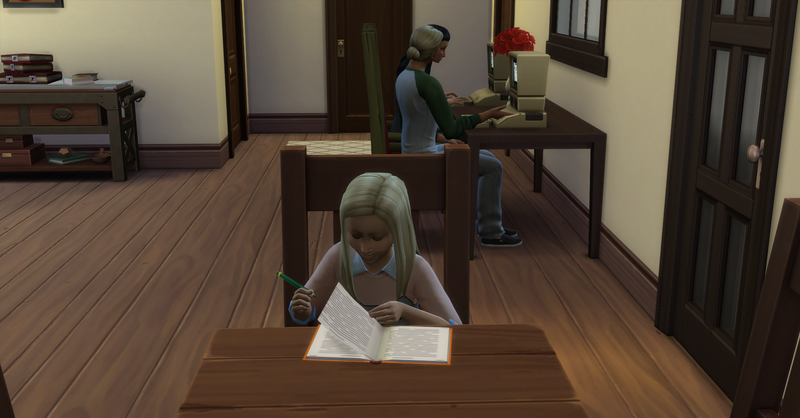 She immediately starts her homework, while her parents work on their books. Pawel finishes his sci-fi book, The Last of the Time Lords, and sends it to the publisher. The baby is crying, yes he is still a baby even though it is supposed to be his birthday today. Rosabelle changes his dirty diaper. 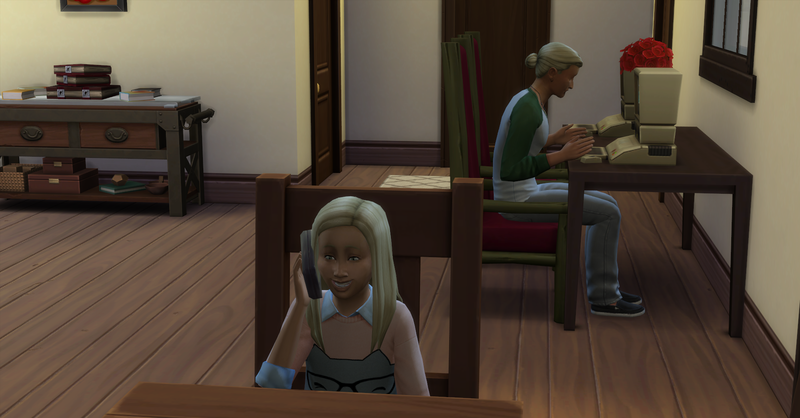 After her homework is finished, Fortuna calls Karlee over to hangout. She needs to make a best friend for her aspiration. 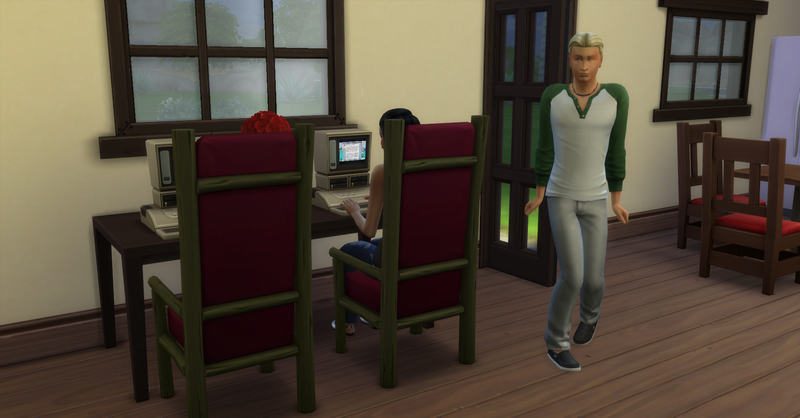 Karlee show up a little later and Fortuna invites her inside. 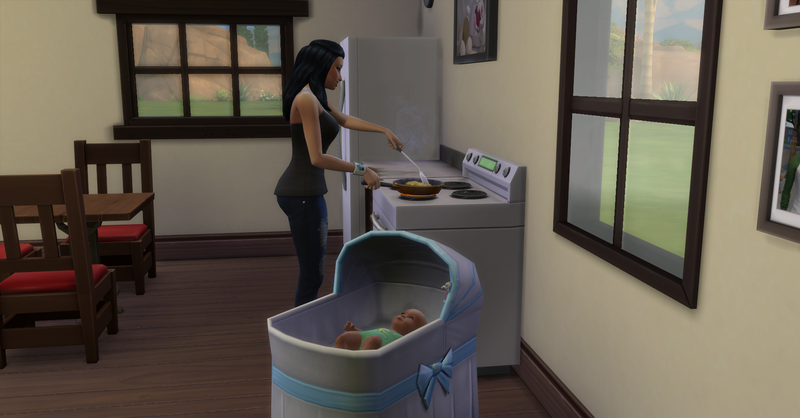 Rosabelle cooks scrambled eggs for dinner (§10) , their funds are now §88,290 simoleons. After cooking Rosabelle cleans the counter. 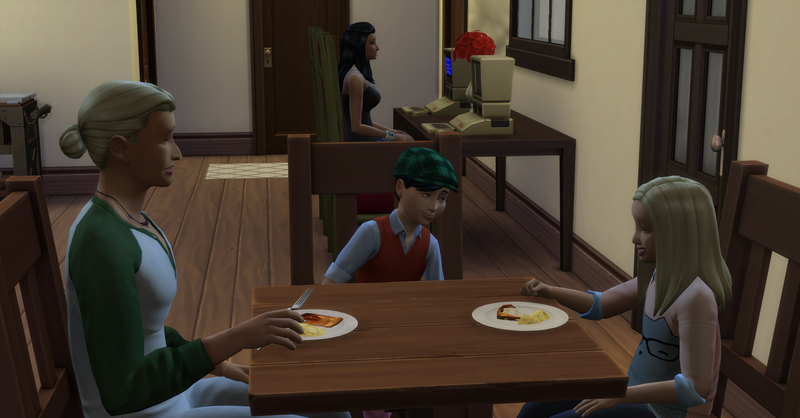 Pawel joins the girls for dinner while Rosabelle works on her book. Unfortunately her computer breaks while she is writing. After eating, Pawel ponders chess moves for logic which he needs for his next work promotion, while Rosabelle uses the only working computer. After dinner the girls play make believe. And they bond more together. They are now good friends. 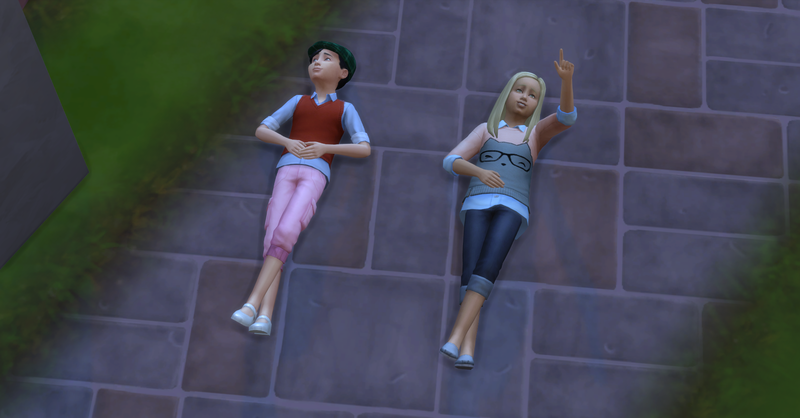 Then they go ouside to star gaze before Karlee has to go home and Fortuna goes to bed. 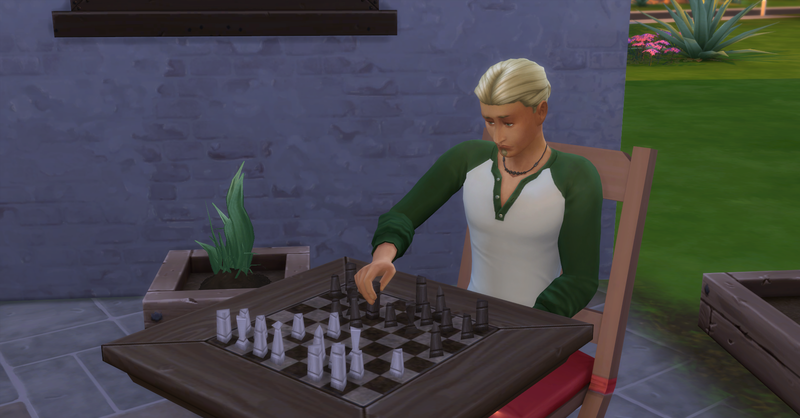 Pawel practices chess until he is level 3 logic. He also really needs to pee. Fortuna goes to bed after Karlee leaves. Pawel repairs the other computer which broke today. He gets 2 common upgrade parts. 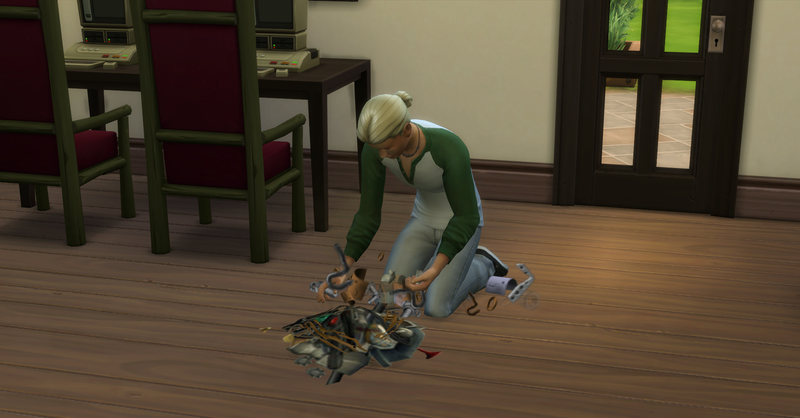 He then scavenges through the pile for more parts and he gets 1 plumbing upgrade part! 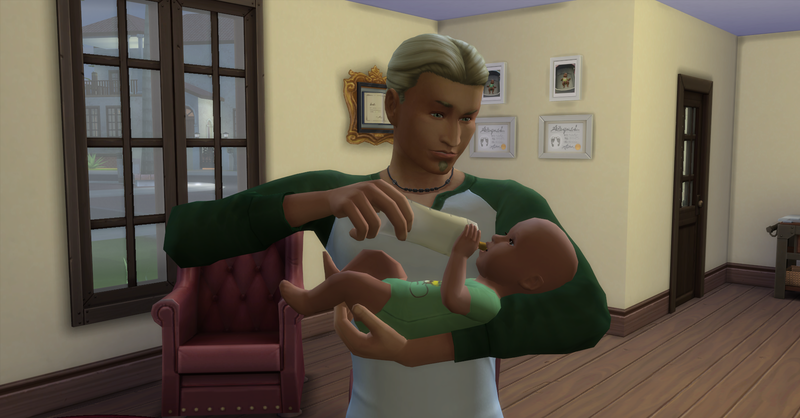 The baby is crying again so he feeds him and then joins Rosabelle in bed. The parents get woken up at 1am to a screaming baby. 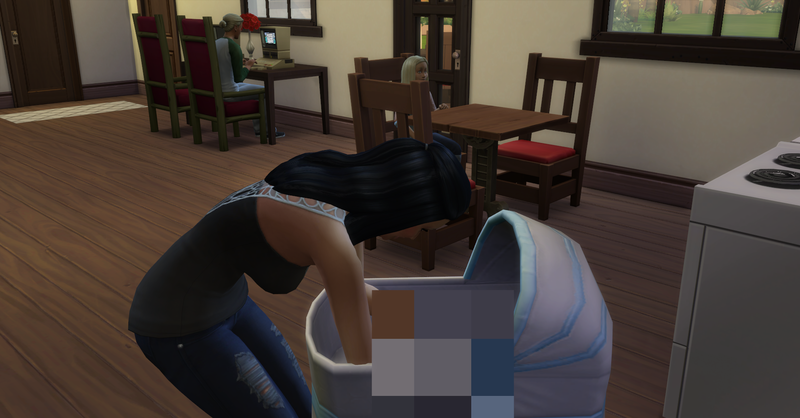 Rosabelle changes his dirty diaper and they go back to bed. No birthday today. Check back soon for Week 6, Day 38 – A Surprise Birthday! 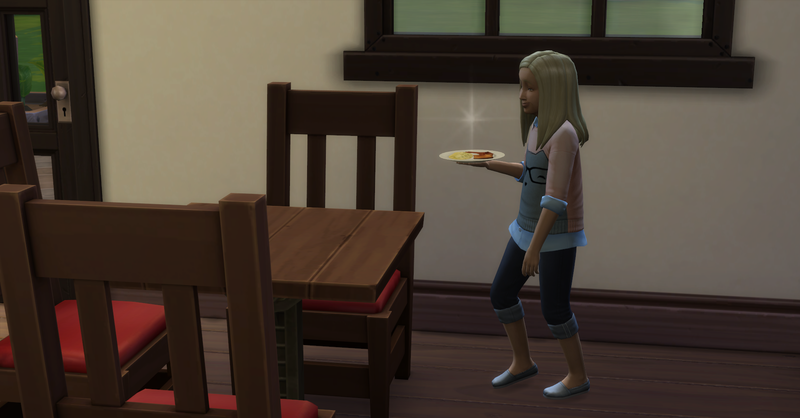 Is there a rule that you can’t age sims up early for this challenge? They are doing so well, though! I don’t think so but at least with the babies it isn’t productive because they need a real bed. But you will see where Forbes is sleeping now very soon!